This is an exciting experience designed to provide you with an almost immediate introduction into the world of skydiving. After a briefing designed especially to inform you of everything that you need to know you will be fitted with a comfortable adjustable harness. Now you are ready to experience the exhilaration of freefall. Upon entering the plane your harness will be locked onto one of our highly experienced British Parachute Association tandem instructors. You will jump from around 10,000 feet above ground level allowing you to experience the exhilarating feeling of freefall for about 30 seconds. Falling at approximately 120 miles per hour, with breathtaking views of the surrounding countryside, the instructor will then deploy the main parachute. It is also possible to get the entire event captured on video to keep forever and show over and over again to all you friends. Ask for details. Anyone over the age of 16 can jump (Applicants under the age of 18 years will require the consent of a parent or guardian, the necessary document can be obtained from Paragon Skydiving Club). There is a maximum weight limit of 14 stones with an additional requirement to meet a weight to height ratio. This is the course that teaches the complete novice how to make their first parachute jump using a square parachute just like experienced skydivers. The course begins with a day of classes and practical skills. Training lasts between 6 to 8 hours and is undertaken by one of our highly experienced instructors. The first jump is scheduled for day 2 jumping from 3,500 feet, with the static line attached to the aircraft. This device automatically deploys the parachute for you. Then you will use your new canopy control skills to ensure landing in one of our huge fields specifically set aside for this purpose. 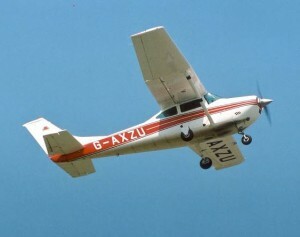 Full radio contact will be maintained between the student and a second fully qualified instructor at all times. Anyone over the age of 16 can jump (Applicants under the age of 18 years will require the consent of a parent or guardian, the necessary document can be obtained from Paragon Skydiving Club). If you are aged over 40 years, a medical form signed and stamped by your doctor is necessary. This form can be obtained from Paragon Skydiving Club. An upper age limit of 50 years applies to RAPS courses. 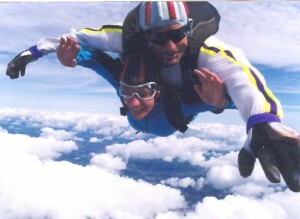 Hi I’d like to pay a deposit for a tandem skydiving jump for my partners birthday on 30/1/19. I’ve completed the booking form on his behalf as it is a surprise present. How do I pay the deposit and can I scan and email the form to you? Hi i’d like to book a Tandem jump skydiving for my husband as birthday surprise on 04/03/2019, how can i boom & pay deposit. Also i want to book for video capture while skydiving. Please guide me for the above booking.